We are located just near Birregurra Station on the Melbourne-Warrnambool train line. Get off at Austin St/Warncoort-Birregurra Rd on the Melbourne-Warrnambool bus line. Plenty of parking around the office location. Are you planning to migrate to Victoria and need help navigating the numerous legal hurdles involved? Fortunately, Charles Reichman can provide the professional assistance that you need. Our notary public officer has years of expertise and experience, allowing us to deliver notary services that are second to none. 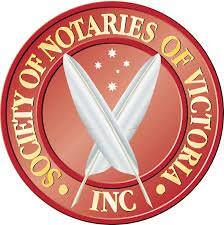 As one of the the only notary public located in the Surf Coast and Colac Otway areas, our Birregurra office works closely with prospective migrants across the vast stretch of land that separates these two major hubs, encompassing numerous nearby towns such as Waurn Ponds, Torquay, Lorne, Colac, Simpson and Glenfyne. We pride ourselves on making the migration process much simpler and less stressful. Our extensive understanding of what’s involved and what’s required means that we can help you achieve your desired outcome with minimal fuss and no complications. Whether you need document authentication for passport renewals and visa applications or Apostille stamps to ensure the Department of Foreign Affairs are satisfied, we have you covered. Make Charles Reichman your first port of call next time you need professional notary services in Birregurra. Get in touch with us today to learn more and discuss your requirements.